When you need a preliminary scan of buried piping, guided wave ultrasonic testing cannot be beat. Rapidly surveying long lengths of pipe or plate from a single test location is what guided wave ultrasonic testing, or long range ultrasonic testing (LRUT), is made for. 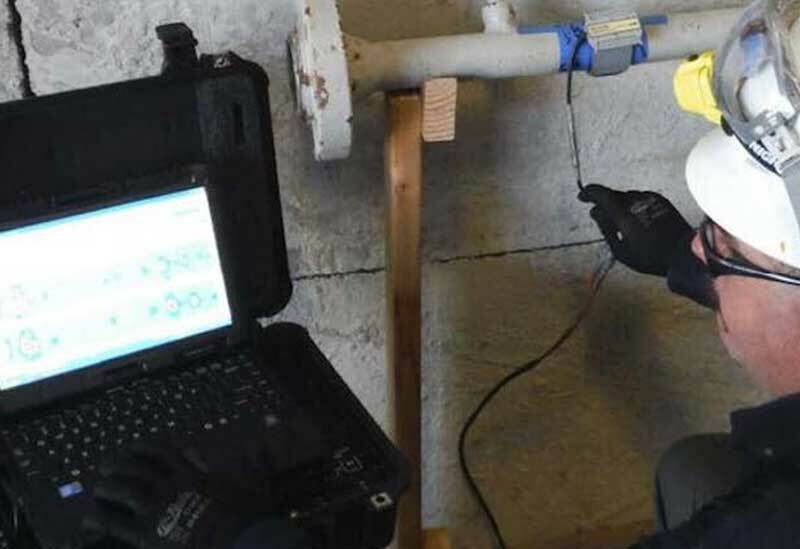 Another closely related benefit of this ultrasonic technique is the ability to detect corrosion wall loss and cracks in long lengths of aboveground, buried, or insulated pipe. LRUT technicians identify the locations and sizes of these damage mechanisms by analyzing the data with Versa’s user-friendly software. Another potential application for guided wave ultrasonic testing is inspecting and monitoring areas that are difficult to access, like high elevations, behind walls, or other inaccessible areas of your facility. Long range ultrasonic testing (LRUT) ultimately saves time and money associated with scaffolding, insulation removal, excavation, and inspecting materials that may prove clean upon a screening with LRUT. Many of the NDT and advanced NDT services that Versa Integrity Group offers are not unlike those of other service providers. If that is the case, what would make you choose us over another? Well, our entire focus, whether its guide wave ultrasonic testing or radiographic testing, revolves around the quality of our technicians and our commitment to our clients. We always work to use the right method for the right project, and the right technician for the right job. Doing so allows you to relax and feel confident that the piece of equipment you need inspected will be inspected properly and on time.